I left you with a heavy heart, etched with the magnanimity of your people. A kind lady in the small town of Safranbolu opened her doors to me on a late rainy afternoon, to feed my vegetarian self a special meal of Peruhi (Turkish pasta) and Pasta (cake in Turkish) prepared for a family gathering. An old man from a bakery in Ordu gave me a ride in his truck to the town’s chocolate factory, after I walked five kilometers and stumbled into his shop for directions for the remaining three. A family living in an isolated hut on Boztepe Hill invited me in for a meal of home grown aubergine. 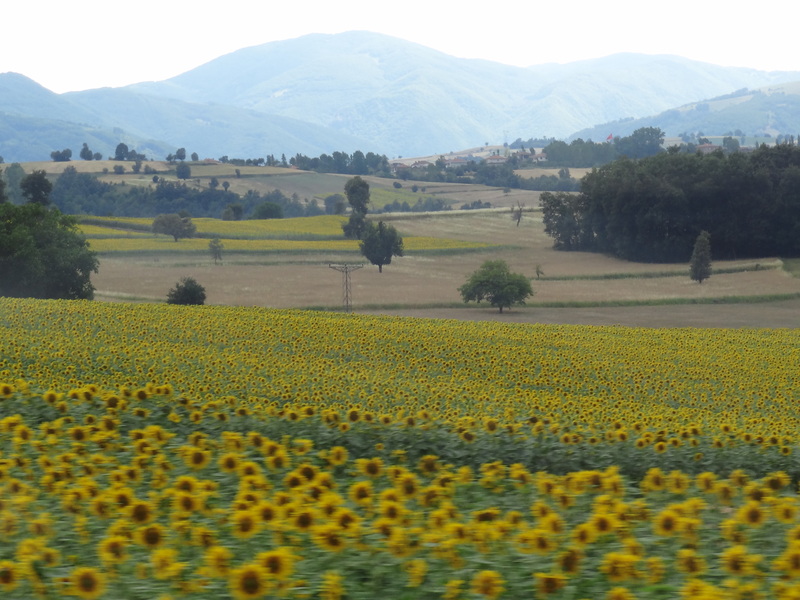 Sunflower fields along the Karadeniz countryside. 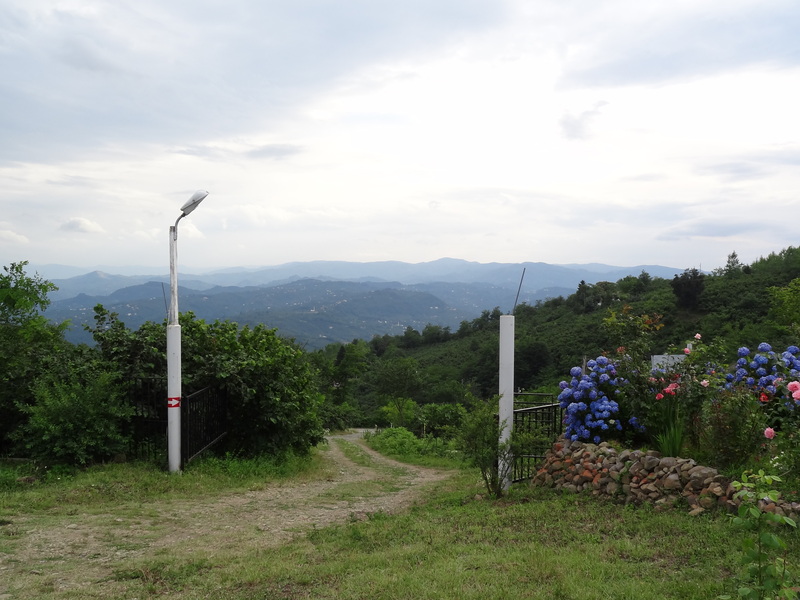 Inviting entrance to a family home on Boztepe Hill, near Ordu in Turkey. 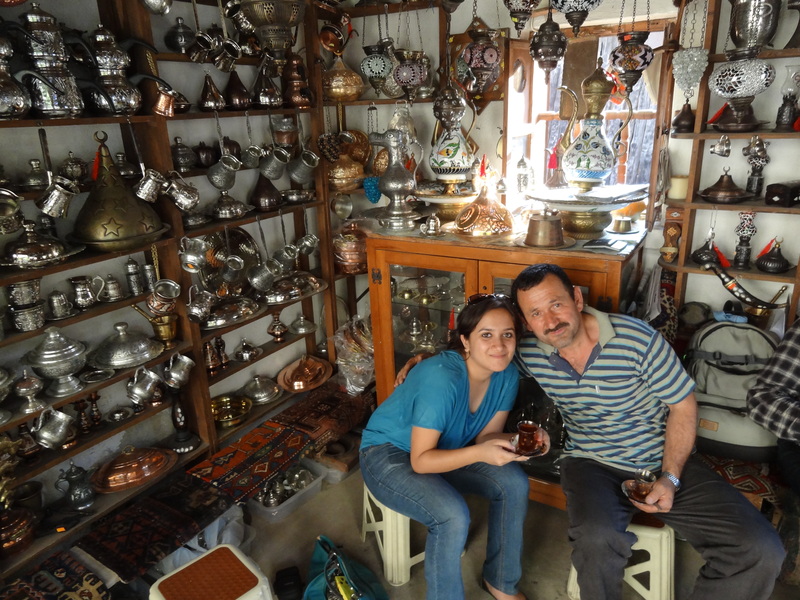 A blacksmith who found me admiring his creations invited me in for çay and proclaimed his eternal love for Hindistan even though he had never been there. A young otel (hotel) owner in Cide went out of her way to ensure that I boarded the right connecting buses to my next destination without losing money or time. A cafe owner in the small town of Ordu, where I impulsively got off the bus on my way to Trabzone without a hotel booking or so much as a google search, treated me to delicious Turkish coffee made with a secret family recipe, then ferried me and my backpack in his car to a lovely boutique hotel which I couldn’t have located myself without speaking Turkish, let aside get the negotiated price he got me. 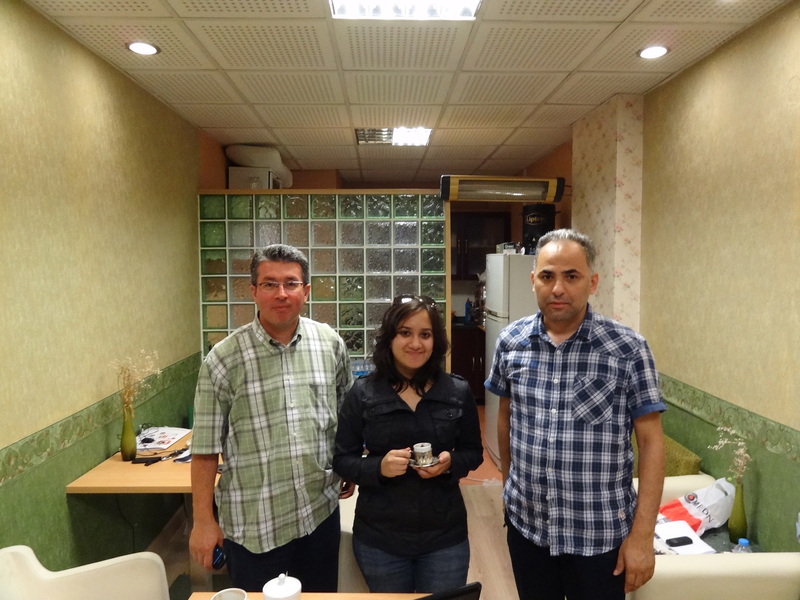 With my Turkish friends in Ordu, a small coastal town in Turkey. The airport guy at Istanbul airport who ferries goods gave me a chocolate seeing me struggling to find small change to make a phone call. A restaurant manager offered me a whirlwind tour of Guzelyurt after I decided his restaurant was too pricey for me to eat there. An English teacher in a small village in Kapadokya confided in me on how much she misses her mother and told me everything I know about the Turkish education system. 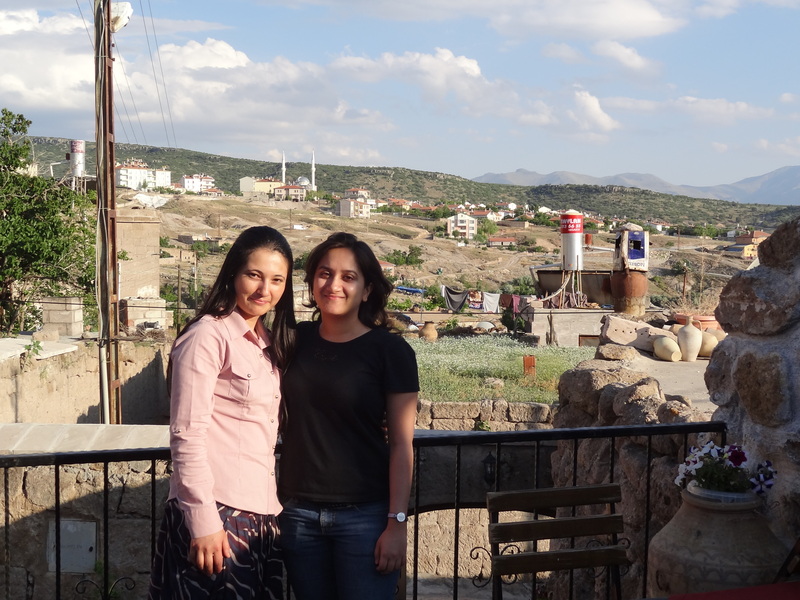 With my Turkish teacher friend in a small village in Kapadokya (Cappadocia). So many people offered me rides to my destinations along the Black Sea, indulged me in conversations without much of a common language (after first trying to converse in Arabic), and treated me to Turkish tea at the drop of a hat. You were good to me, Turkey, and I want to come back. Your people are one of my million reasons. For more travel stories and photos from around the world, join The Shooting Star on Facebook, Twitter and Instagram. Thanks Sarosh; I’m glad you liked it! I think we can all agree with Bonaparte. Have you been to Turkey btw? Yes, I had been there several times, I love this part of the world. Your “Turkey Story” makes me want to visit this place sometime in future. We have a friend who is part Turkish and has visited us several times to Goa. No wonder you reminisce it shivya . It’s truly a beautiful part of the world . It certainly is, Pallavi! Have you been yet? Thanks Kum; glad you enjoyed this virtual journey through Turkey! I am delighted that you have provided travel information of Turkey. I could come to know about the place and I will keep in my list of travel. Your blog is really cool. I like the way you express your travelling experiences.I am looking forward for a trip to Turkey this coming December.I would like to know your suggestions about my travel during this month of the year and how safe is Turkey ? I left my heart not in San Francisco but in the beautiful city of Istanbul. Previous PostMy First Impressions of the Seychelles. Next PostWhat Seychelles’ Most Famous Musician Taught Me About Dreams.